B.R. 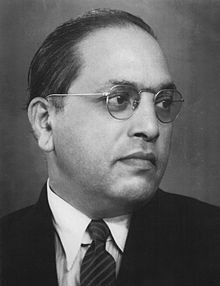 Ambedkar “Babasaheb” was an Indian political reformer who campaigned for the rights of the ‘untouchable’ caste of India. He played a role in the Indian independence movement and also played a key role in drafting the Indian constitution and the reformation of Indian society through the promotion of greater equality and rights for both the poor and women. Ambedkar was also a prolific scholar, attending university in Mumbai, New York and London; he specialised in law, economics and political science, and made contributions to Indian economic thought. In 1956, shortly before his death, he converted from Hinduism to Buddhism encouraging many fellow ‘untouchables’ to also convert. Ambedkar was born in Mhow, Madhya Pradesh. He was the 14th child of Ramji Sakpal who was a Subedar (officer) in the British Indian Army. His family were ranked as a Mahar (Dalit) ‘untouchable’ caste. At the time of his birth, those born in the Mahar caste were subject to great discrimination, with limited education and employment prospects. They were not allowed to share public water provision and often suffered very low standards of living, health and poor accommodation. The Mahars are mainly found in Maharashtra and comprise around 10% of the population. However, as an officer in the British Indian army, his father lobbied for his children to be allowed to go to school. Ambedkar was allowed to attend, but because of great opposition from Brahmins and other upper classes, the untouchables were segregated and often not allowed in the classroom. In his later writing “No peon, No Water.” Ambedkar later explained how he was not allowed to take water, without the school peon (person to do manual labour). It was an example of the discrimination and exclusion that untouchables often faced. However, his father was ambitious for his children and encouraged them to read both the Hindu classics and other literature to further their education. The discrimination and segregation of being born into the Mahar caste had a lasting influence on Ambedkar’s outlook on Indian society and political life. As was custom, in 1906, he was arranged to be married to a nine-year-old girl, Ramabai. Ambedkar received a degree in economics and political science from Bombay University. As a talented scholar, in 1913, he gained a Baroda state scholarship to study at Columbia University, New York. Here he gained an M.A, presenting a thesis on Ancient Indian Commerce. After New York, in 1916, he moved to London where he enrolled at the Bar at Gray’s Inn and also at the London School of Economics. By 1923, he was called to the Bar and had completed a Master’s degree in economics (1921) and a D.Sc. in economics (1923). Ambedkar was a professional economist until 1921. He wrote an influential paper to the Hilton Young Commission which formed the basis of the Reserve Bank of India. (RBI). In his 1923 these ‘The problems of Rupee, it’s origins and solution’ – he studied the importance of price stability to the value of the Rupee. He also investigated how the Indian economy could successfully develop. In 1917, he had to return to India to serve in the Baroda State military. However, his military career didn’t last very long. He quit and found work as a private tutor. He also tried to set up an investment consulting business, but soon lost clients when they found out about his ‘untouchable’ status. In 1918, he became Professor of Political Economy at the Sydenham College in Bombay. He also went on to serve as a lawyer. During the 1920s, he became more active in organising protests against discrimination. He inspired mass protests against ‘untouchability’ and for the right to draw water from the main public tank. He attacked elements of orthodox Hinduism – burning copies of Manusmrti (Laws of Manu) which he felt justified caste discrimination. He also campaigned for ‘untouchables’ to be given admission to Hindu temples. In 1930, he led about 15,000 untouchables in a peaceful procession to gain admission to Kalaram Temple. Ambedkar wrote prolifically on the subject of caste. He strongly criticised orthodox Hinduism and the caste system in particular. 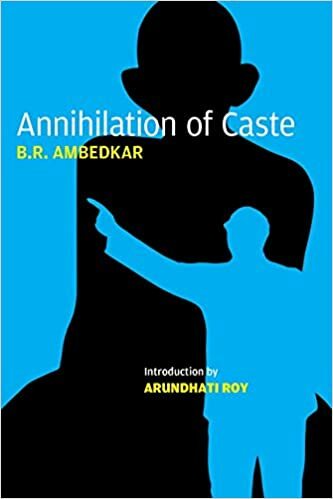 His book – The Annihilation of Caste – expressed these views most force ably. He was also critical of Islam for the way he felt it justified slavery and the mistreatment of women. Ambedkar believed that the rights of untouchables could be best served by having a separate electorate for the untouchables. In 1932, given his prominence, the British invited Ambedkar to the Round Table Conference in London. The British agreed with Ambedkar’s plan to have a separate electorate. However, Mahatma Gandhi was deeply opposed to this plan to divide the electorate. On hearing the news Gandhi went on a fast, whilst in jail, provoking huge civil unrest amongst the Hindu population. Eventually fearing conflict between orthodox Hindus and the Dalit’s, Ambedkar agreed with Gandhi to avoid a separate electorate. Instead, a certain number of seats were reserved for untouchables. This was known as the Poona Pact and drew Gandhi and Ambedkar closer politically. Though tensions between the two still remained. Ambedkar wanted independence, but he gave equal weighting to the amelioration of the untouchables and other marginalised groups in society. In 1937, he formed the Independent Labour party to represent the untouchables in elections. They gained local success in the 1937 elections but fared less well in the 1947 elections. In 1947, after India’s independence, he was invited by the Congress government to play a significant role in drafting India’s new constitution. He was appointed Chairman of the Constitution Drafting Committee. He was also appointed first Law Minister. 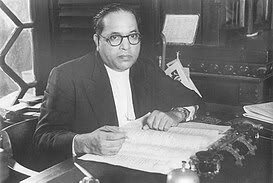 Ambedkar prepared a constitution which protected a wide range of civil liberties for both the poor and women. Article 17 outlawed the practice of ‘untouchability’. The constitution also included affirmative action to reserve jobs for people from scheduled castes. The constitution was adopted in 1949. Ambedkar was brought up in a Hindu culture and studied Hindu texts. However, he was critical of the caste aspect of Hinduism and frequently talked about his desire to leave his religion and encouraged others to do the same. For a while he considered Sikhism. 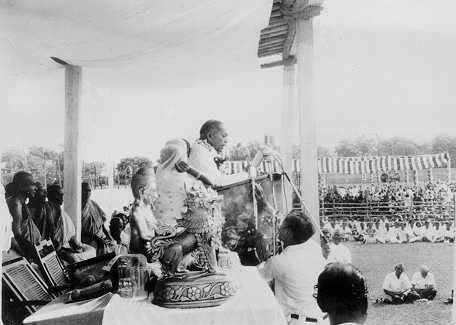 But, in October 1956, he announced his formal intention to convert to Buddhism. He studied Buddhism throughout his life and in the 1950s spent more time studying Buddhism, travelling to Sri Lanka and attending Buddhist conferences. After his conversion, he oversaw the conversion of 500,000 of his followers to the Buddhist religion. It was one of the biggest mass conversions in India. He founded the Buddhist Society of India and has helped to revitalise Buddhism within India, the land of its birth. 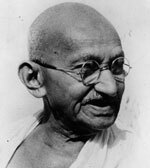 Shortly after his conversion to Buddhism, he died in his sleep on 6 December 1956 at his home in Delhi. He suffered from diabetes and stress-related illness. He was given a Buddhist cremation, and over half a million people came to pay their respects. Ambedkar left a powerful legacy for Indian culture, politics and society. His drafting of the Indian constitution placed great emphasis on equal rights and the overcoming of discrimination. His criticism of Hinduism has made him a controversial figure. But, in 2012, he was voted the greatest Indian by a national poll organised by History TV18 and CNN IBN. He gained nearly 20 million votes. Citation: Pettinger, Tejvan. “B.R. Ambedkar biography”, Oxford, UK. www.biographyonline.net. Published 26th November 2014. Last updated 15 February 2018. Famous Indians – A list of Indian men and women throughout the ages. Categories include politicians, scientists, sports people, spiritual figures and cultural figures. Includes Mahatma Gandhi, Akbar, Swami Vivekananda and Indira Gandhi. People who made a difference. Men and women who made a positive contribution to the world – in the fields of politics, literature, music, activism and spirituality. Buddhists – Famous Buddhists, including Lord Buddha, Milarepa, the Dalai Lama and Thich Nhat Hanh. INDIA IS ONE OF THE GREAT COUNTRY AND DR. BR AMBEDKAR ALSO ONE OF THE GREAT PERSON, INSPIRED THANKS FOR GOOD ARTICLE……………..